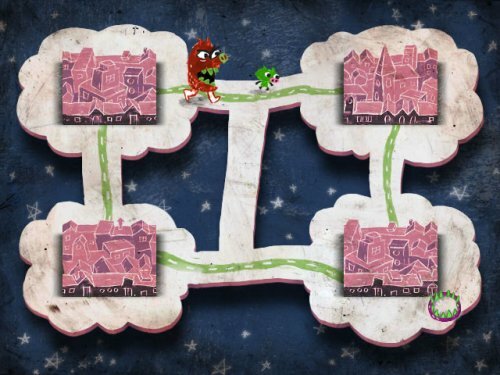 Gesundheit is a delightful game about a childlike world where monsters are vanquished by an allergic pig who uses his snot to entice the monsters into traps where they meet their doom. Gesundheit was made with Adventure Game Studio, which I have not yet tried, but it seems like a powerful and accessible game creation platform. It could be a good option for letting kids create their own interactive games. I’d have Max and Ben give it a whirl, but they are at this very moment engaged in some Flash creation, so why bother them?